At the age of nineteen, high school diploma in hand, Leonard Gentine knew two things: he wanted to own a family business that would pass from generation to generation, and he wanted to spend the rest of his life with Dolores Becker, a girl he'd met on a blind date. For Leonard, life didn't prove that simple. This biography, told from the viewpoint of four generations of the Gentine family, places the reader in Leonard's shoes as he advances from young man to old age and discovers life's foundational lessons. Along the way, he endures outstanding debts, disappointments, and a collection of small businesses, all with Dolores at his side. It's an inspirational story of perseverance, personal integrity, and a mind-set of always doing the right thing-as painful as that may be in the short term. Treated Like Family is book of leadership where the reader is able to catch the vision of Leonard Gentine and see his innovative ways into business. 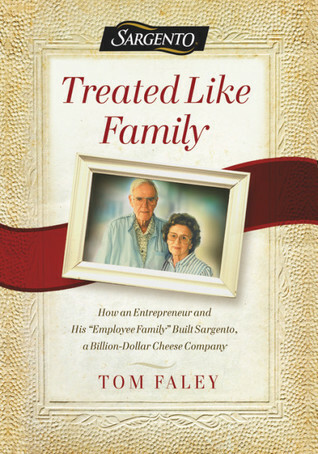 This book is a rare gem and one that gets people to understand how the Billion Dollar Cheese company started and how it's maintained success. One of the most valuable things a reader can take away from this book is the values and principles this company has built through the culture it has created within it's business, which is unique and beautiful. It has a mindset of servant leadership and they value God in their purpose/ values as a business, which is unheard of in businesses today. I love that the leadership of Sargento have specifically purposed that this families brand is one that serves the employees of Sargento and not the other way around. This book is a great book for leaders, those who own their own business and those who are pursing a career in business. The Sargento brand stands on its own and has good principles. I enjoyed reading this book, it gives key concepts that we all can learn from whether in business or in life. I highlighted this book and put sticky tabs in several places because this is a company that I want to make sure we support and that others support because of their leadership model and business principles. Overall, I give this book 5/5 stars. A favorable review was not required for a complimentary copy of this book. Tom Faley, as a 29-year employee of Sargento, had the opportunity to share numerous, private conversations with the founder, Leonard Gentine, before his passing. As a long-term veteran of Sargento, Tom speaks on a large portion of the corporate history from first-hand experience. 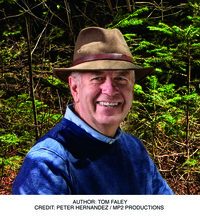 Holding an MBA in Marketing, Tom played active roles in shaping Sargento, including starting and developing many departments within the company: marketing, consumer research, consumer promotions and new product development. In addition, he holds a patent in his name for Sargento. For over eight years, he has written a blog as well as weekly essays underscoring the company’s culture.